It’s considered the central point for eternal youth in Italy. The university cities of Modena, Parma, and Ferrara are cultural hubs but they have nothing on Bologna, the world’s oldest university. In turn where there is an abundance in education there is innovation. 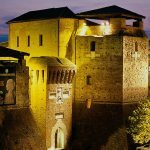 Home to megabrands such as Ferrari and Maserati, Emilia-Romagna boasts brand name luxury but pairs it nicely with an innovative food culture that central Italy is famous for. 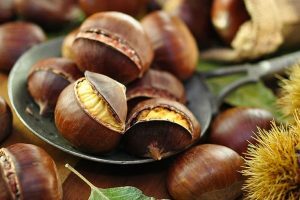 These aren't just any chestnuts. They've been cultivated in the region for the past 500 years and are bursting with sweetness. 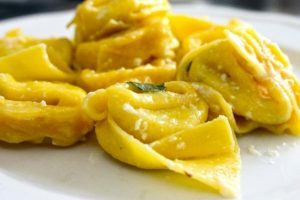 These little “hats” of pasta are filled with roasted squash. Enjoy them with a glass of Bosco Eliceo. These pockets of dough are filled with herbed meats and vegetables, served in a poultry broth, and finally topped with grated Parmigiano Reggiano. Wander the streets of Bologna and immerse yourself in the gastronomic capital of Italy. 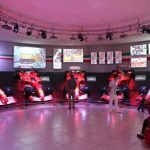 It’s the site of the world’s oldest university and teaming with countless young, affluent, and energetic crowds. Step back in time and head to Piazza Maggiore and finally end you day at Piccola Venezia. For those who appreciate the country over the city lifestyle the Grande Escursione Appenninica is an option. 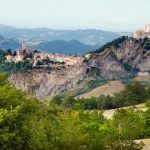 This 25km hike takes travellers along the backbone of the south Apennines tasting local cultures and cuisines along the way. Time to see more of what this region has to offer. 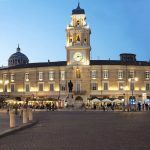 Head to Parma to sample Parmigiano reggiano from the source, trek to Rimini for a taste of seaside nightlife, or even train to Reggio Emilia and delve further into the region’s gastronomic traditions.